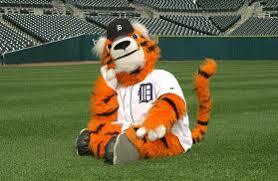 WELCOME to the 2009 Official Adopt-A-Tiger Draft selection thread! This year, the #1 draft position has been awarded to estrepe1 (Brian Bluhm), and a special guest will make the selection on his behalf @ 1:00 pm Sunday. We will then continue with #2 (JR's) selection. #3 is free to pick immediately after the second player has been selected, and so forth. Each draft position is given a 24 hour clock for making a selection. If that person's clock expires, the next position is then free to draft, and their 24-hour clock begins. If you miss your turn, you aren't disqualified. You can still make a pick at any time, but your pickings won't be as good! Please make an effort to check in every day or two, and remember that you don't have to wait 24 hours before you pick - let's keep this moving quickly for everyone. The draft will probably take two to three weeks to complete. This post will be updated below with everyone's choices, so you can check here to see if your pick is coming up soon. Picks 26-50: Once pick #25 is made both picks 26 and 27 will be on the clock. This will speed things up a bit, however still "protect" the draft position to an extent. Once one of the two on the clock makes a selection, #28 goes on the clock, and so forth. Once again each member on the clock has a 24 hour window for making a pick. If your clock expires, you can still make a pick at any time from the remaining available players. Picks 51 - finish: Once picks #49 AND #50 are made picks 51, 52 and 53 will all be put on the clock. From that point on, three members will be "on the clock" at once, to pick on a first come first served basis. Again they will be on a 24 hour clock. After the initial draft phase, we'll begin the "free for all" phase, for those who missed out on registering for the lottery. You can pick one of the undrafted "leftovers", first come first served! If something comes up in "real life", your draft position is coming up, and you know you might be absent, please feel free to PM me a ranked list of players, and I will draft for you by proxy. Also, if you decide not to participate this year, please PM me as soon as possible and I'll remove you from the draft order. Also if you trade picks with somebody, shoot me a PM and I'll make the adjustments for you. You may draft any player at any level. Others affiliated with the Tigers CAN be drafted, but you might find it more fun and rewarding to adopt and follow a player. Many here prefer to draft young prospects, and update us on their progress throughout the season. And when making your selection, please consider posting photos, info, or scouting on your AAT, and why you picked him. Once you draft a player, you've adopted him. what does that mean?? Really nothing. This is just a little thing we've done around here for a few years now in the winter doldrums when Spring training is on the horizon to get us talking baseball again. If your player has a good year, it's because of you and you have bragging rights, and if they stink it up it is your fault. During the season in the game threads and such your affiliations could be brought up and you could be called on the carpet if your adopted player screws up. You have to defend them at all costs, against all comers. He is your baby, you have to protect him. Minor league adoptions should look to keep us updated on your selected player throughout the season in the Minor League forum. Keep track of their numbers and let us know when he's on a hot streak or if he's been promoted to a higher league. You can use the teams official websites to find such information, as well we usually have Tiger Organization minor league stats posted in the Minor League forum as well as box scores posted as well. something about your player and the up and comers in the Tigers Farm. Last season some members decided to use their sig lines to keep others updated on their adoptees, a practice I hope to see continued for the most part. Rafael Belliard - El Gato Pollo Loco! Mike Hollimon - 84 Lives !!!!! De La Cruz, Sandy - Fool, Inc. Woo, #78 this year. I'm movin' up! And quite evident is the missing Yoda. Beat me to it. Sadness in the evidence. I wish him well! There are several other prominent posters who are missing as well. Maybe they plan to hit the free for all part of the draft? Could it be many have tuned out baseball for another month? Well we are competing with a small event known as the NFL playoffs, along with hockey basketball bowling curling midget wrestling etc. But at least I managed to avoid the Super Bowl this time! T Minus 17 Hours and counting! On the others section, you forgot my 2008 selection, Mike Ilitch. The others are certainly moronically inconsequential. I'm betting it will be his sister. That would be cool. Anyone agree? It could also be that they have more important things to do, as hard as that might be to believe. I'm speechless. I will try to live up to my pick. OH!!! The pressure!!!! ummm...I'm okay now. 2. Does anyone wanna do what the Lions should do and Trade Down? Is Justin Justice (my AAT last year) still in the system? He's not on the list, but I can't find anything that says he's gone. Justin Justice was released at the end of the season. Nice guy, hope he gets picked up somewhere. He was one of 15 players cut last October,I believe. I could complain about 105, but I've been in the teens before. for 1:00 PM today, hope you get time to tune in! Is there a pre-game show? I did hear a rumour that Yooper was going to do a Janet Jackson - is there any truth in that?